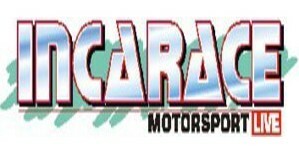 Here are some of the preferred Partners of Spedeworth Motorsports. Please support those who support our racing! AWS are the UK's fastest moving racewear company producing suits to the latest FIA specifications and MSA requirements. 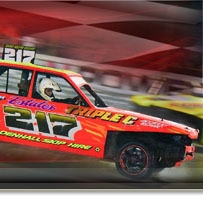 Online Betting and Sports Betting, including exclusive betting on the 2016 National Hot Rod World Final and much more! Australia's Top Supplier of Custom Sportswear Clothing, Team Uniforms, Sports Accessories and Promo Products. Click here to visit FORDS! A wide variety of personalised items whether you're looking for a key-fob, a ceramic mug or a mouse-mat of your favorite driver, plus much more! Click here to visit Graphics by Dave! Our associate promotion in Scotland, Hardie Race Promotions host racing at Scotland's most modern short oval racing facility - Lochgelly Raceway. Kustom Racewear was established in March 2014 by hobby racer Chris Pye, who whilst looking for some customised overalls for the season ahead found there was a niche in the UK Market for customised overalls, boots & gloves. Official videographer - Aldershot, Ipswich & Wimbledon. Click here for Martin Hunt website! PRINT4U are your local friendly digital and lithographic printers in Ipswich, Suffolk. Renowned for performance automotive engineering, from design to production. Click here to visit Quaife! Click here to visit Race Pixels! Reade Signs provide the right signage solutions to improve the effectiveness of their clients businesses. We offer expertise in design, manufacture and installation, and a competitive price without compromising their reputation for quality and service standards. Click here to visit Reade Signs! South Coast Hydraulics was established in 1986 and is one of the souths leading supplier of hydraulic hose, fittings hydraulic cylinders, ram, repairs, manipulated steel tube and associated products.